~Bunny Lane Designs~: Is that really me?!?! I won a giveaway from Jenna Lou's blog! 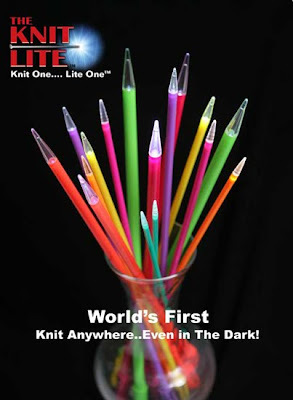 Just for being on her emailing list, I was automatically entered in her Knit Lite giveaway! This is just the best! They will definitely be put to good use as I teeter and totter back and forth from my sewing, quilting and knitting gifts for this holiday season. Congrats! I didn't realize we lived so close to eachother. I am in Potomac Falls in Loudoun. hiya! I came to you from your linkback over at Joy's Hope. When I read your post today I had to read it 3 times. I'm in Woodbridge too. I've just started to teach myself to quilt. I made one for my DD and am working on one for my mom. I haven't posted lately but my blog, mypreppypurse.blogspot.com tells a little about me. I'm going to explore your blog and bookmark it. I love happy coincidences. lucky you! those are pretty awesome! That is so cool! :) Do they make crochet hooks, too? Because I can't knit to save my life!